Suddenly spring is upon us; all thoughts of winter, snow and skiing have been shelved for another year, and our attention has turned to the garden. Everywhere I turn new life is emerging. It’s not an instant change, rather it’s as if the garden has been hibernating all winter and slowly, like a child, it is waking up, opening one eye, taking a cautious peak to see if it is time to get up and then slowly stretching; and although not quite fully awake it has definitely decided it is safe to get out of bed. The cobb trees, however, seem to be a little blurry eyed still…. The ash, not fully awake but so close…. 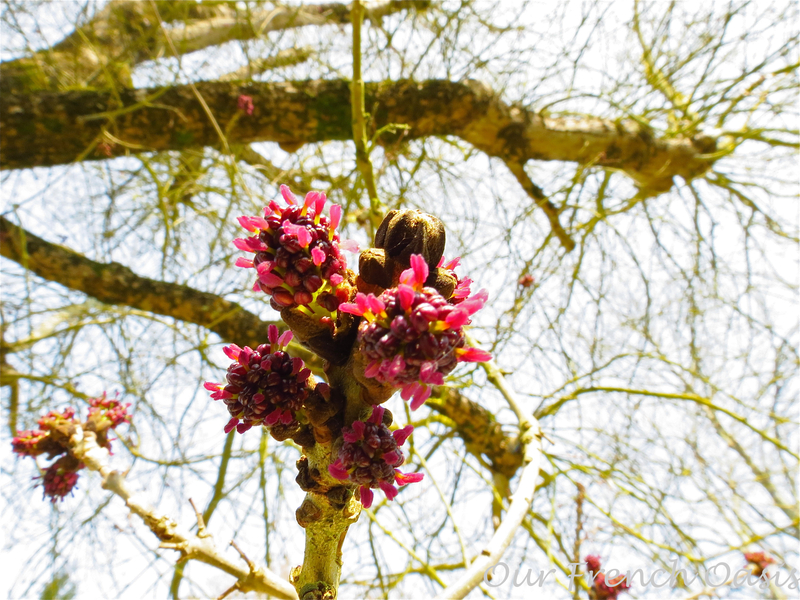 And the first real blossom to appear in the garden was that of the plum trees…. Whatever the weather, the camellias are one of the first flowering spring shrubs…. 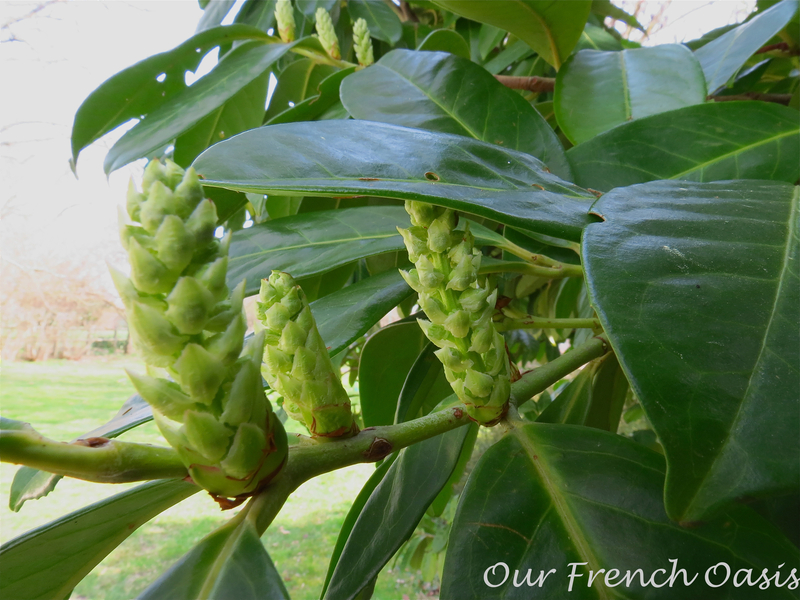 And then there is the evergreen laurel which has provided such welcome foliage all winter…. When I step outside at dawn now, nature’s orchestra is in full flow; first light is always the loudest time and everything has a certain spring in its step. The first lizards have appeared, scuttling across the old terra-cotta tiles of the summer kitchen and insect life has suddenly multiplied. The chickens follow us everywhere, and if we are in the house they love nothing better than to nose around outside the kitchen door. Despite an abundance of fruit trees, grape-vines and various currant bushes, the one thing missing when we bought the house was a proper vegetable garden. This week we have started to change that and the children are also keen to each have their own little area. One evening over supper we asked them what they wanted to grow; the smallest quickly replied strawberries and broccoli, the second smallest suggested watermelons and lemons, and the discussion quickly turned into a friendly argument about what one could grow, and what one could not grow, in SW France. The teenagers snorted with laughter at their younger siblings. There is still plenty of work before the first seeds can be sown, but there’s never any fear of being lonely! I hope over the coming weeks and months we will be able to bring you lots of photos as the vegetable garden develops and produces and we’ll see just what the youngest members of the family actually end up growing! 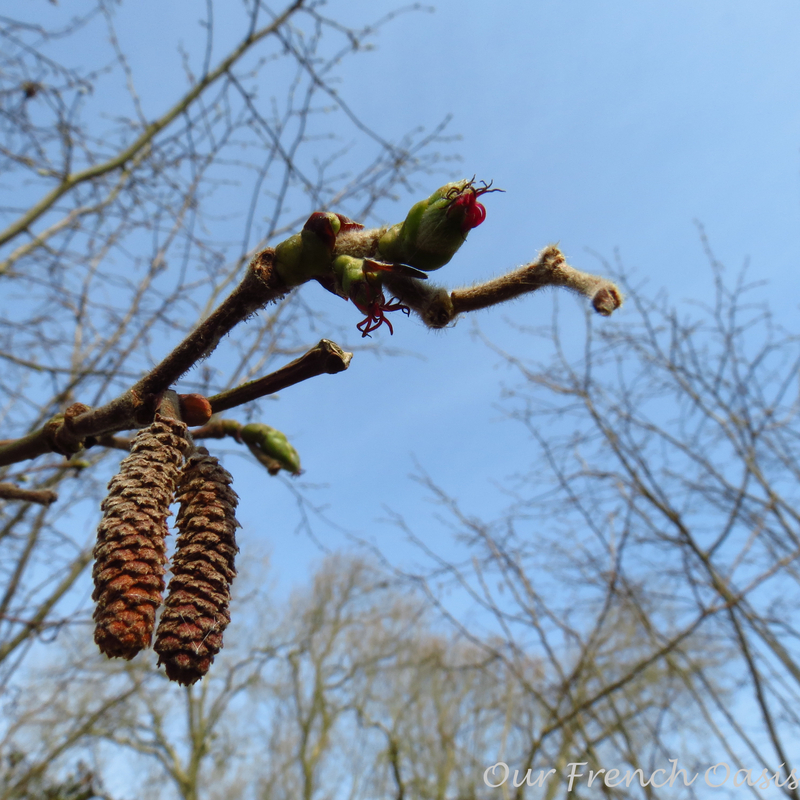 Alas though, March is a fickle month and I suspect that no sooner have we hung up our woolen hats and thick scarfs than we’ll be getting them out again! 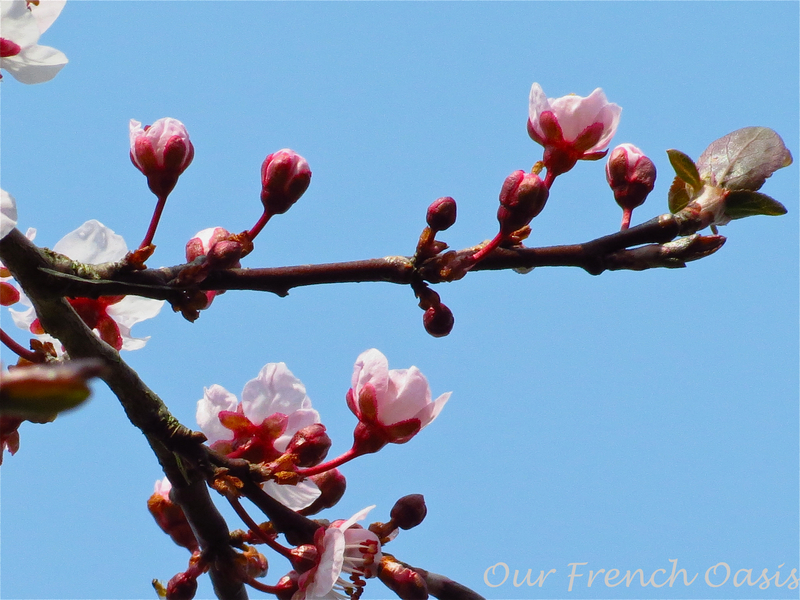 Isn’t it always wonderful to see spring? It was 27 degrees here yesterday, so very few signs of autumn yet, apart from the feijoas falling from the trees. No doubt the cold change, when it comes, will be sudden and brutal! I’ll look forward to hearing more about your vegetable garden. Your last line was exactly what happened here. 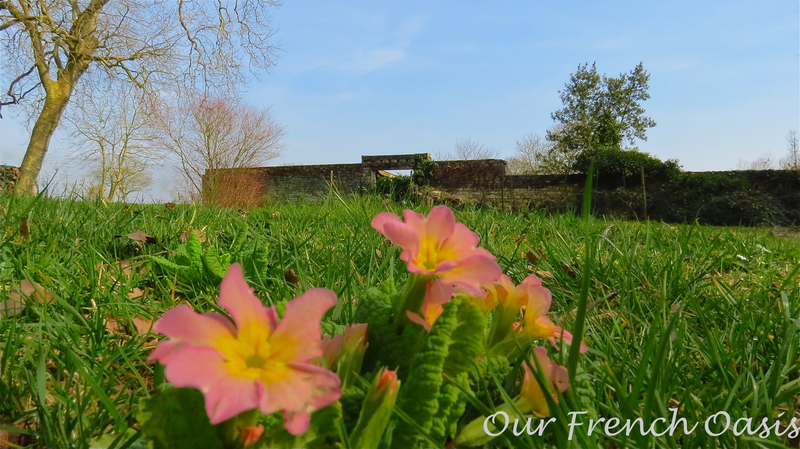 We had a short week of spring, although not quite enough to bring the flowers out here at 625 meters. But the temps just dropped to under 10° C and it is rainy and gloomy. I often find March does not hold its promises — at least not here. So lovely to have you join in! 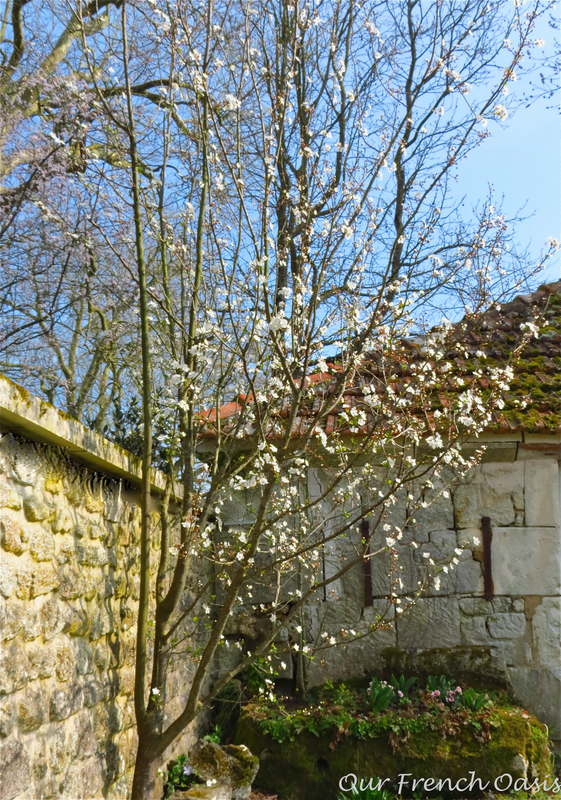 Blossom is something that I have been looking forward to for week and I’m so excited to see it finally coming out.I love the look of your garden – ah those stone walls and roaming chickens! I know what you mean about March weather – it’s either going to continue to get warmer or suddenly plummet back down and snow – it’s anyones guess! Thank you, I am thrilled to join. 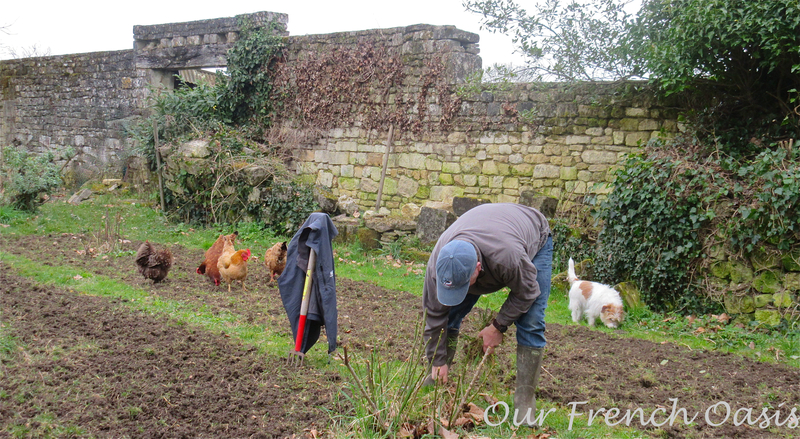 The garden was one of the key points when we bought the house – we can plant and start vegetable gardens, but 100 year old trees and ancient stone walls were the key ingredients! 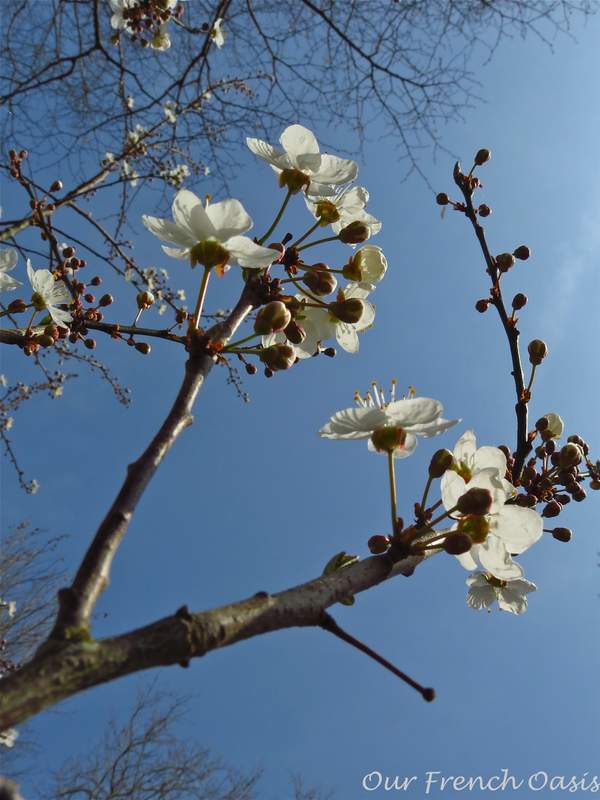 It is so exciting to see the blossom, our cherry tree is os so close now! But you are right, one day we are in t shirts, the next back to poloneck jumpers! Have a great weekend. Could I suggest some carrots, I seem to remember they are particularly sweet in your area…. Yes carrots, definitely, it is so exciting, can’t wait to start sewing seeds. Are you able to grow things in Western Oz? Our soil is pure sand and despite me pouring in loads of compost and manure I do not make a lot of headway, saying that we did manage to grow lots of tomatoes and the grapes seemed to thrive, all other veggies got eaten by snails and grubs. One of the things that was really good about Lymington was the soil never realised it until now. At least you managed to grow some things Heather! In New Zealand we were the same, nothing thrived, other people’s did but not ours, our soil was sandy too. The soil looks really good here and the garden thrives so fingers crossed, watch this space!!! You are very much in advance of us here in Normandy. 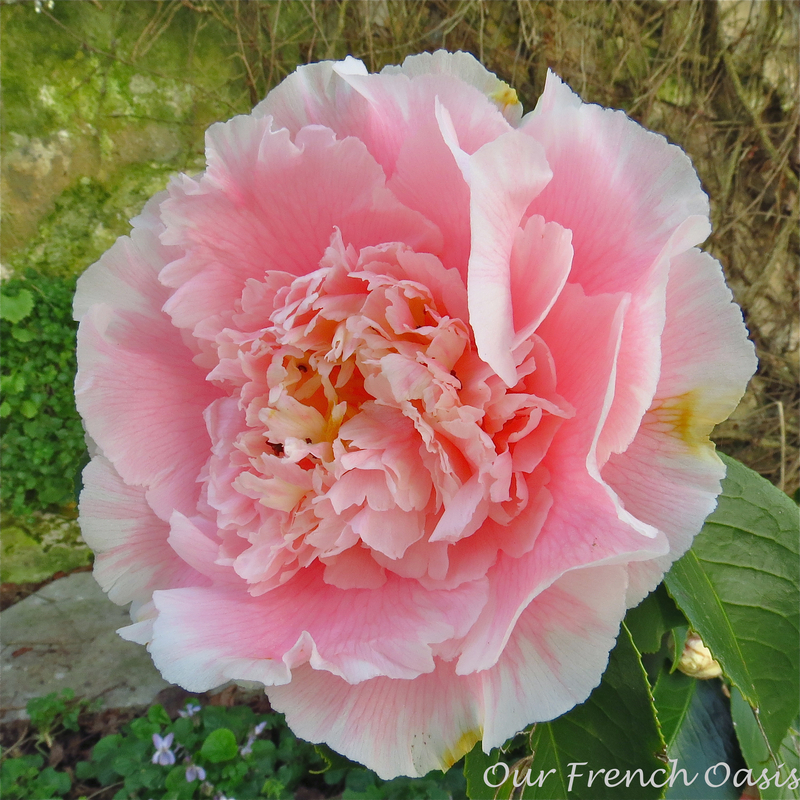 How nice to find your lovely blog on France. Thank you, I really enjoyed finding your blog too. I look forward to sitting down and reading it properly! I just added a new page “What’s it all about”, I added this just now after you commented so you may like to take a look, it sums it all up!!! love all the blooming trees! 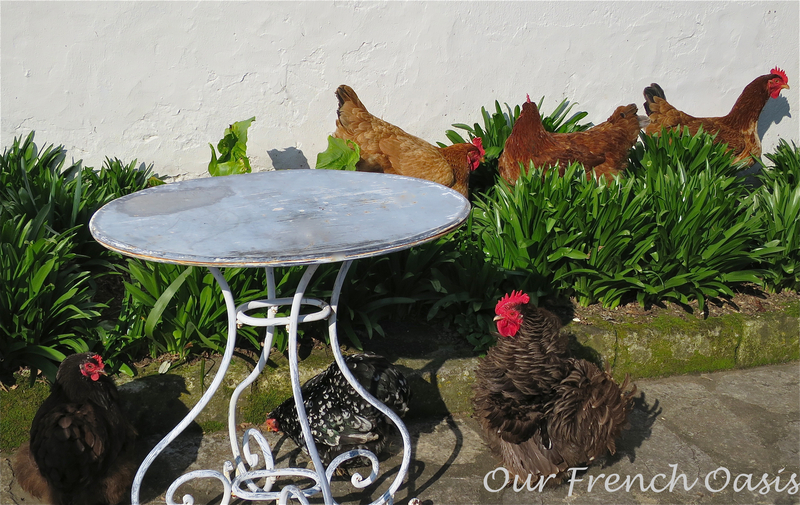 and how delightful to have chickens wandering about. Thank you Doris, yes the garden is finally coming to life. The chickens have to be the happiest, most content chickens I have ever seen, truly free range and their eggs are incredible. I never knew chickens could bring so much pleasure, but they do! Love your chickens and you have a jack identical to my little Bea. 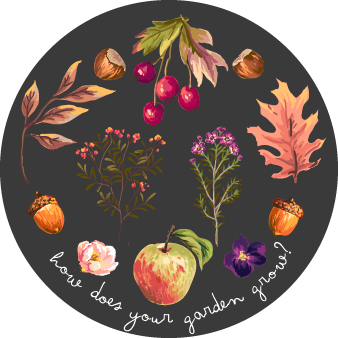 Loved having a quick read of your blog, I miss my aga so much, but here it would be turned off five months of the year so a complete waste 😦 we are just starting our vegetable garden too, loads of fruit trees but no veg garden, planting out first seedlings this weekend! Our JR, Bentley is from Sydney, Australia, love him to bits. Looking to get a second in the summer. Thanks for following and enjoyed following you back.